Presto Electric Deep Fryer Just $24.50! Down From $43! You are here: Home / Great Deals / Amazon Deals / Presto Electric Deep Fryer Just $24.50! Down From $43! Hurry over to Amazon where you can score this Presto Electric Deep Fryer for just $24.50 down from $42.99 PLUS FREE shipping with Amazon Prime or for orders over $25! Fries delicious deep fried foods, fast and easy. 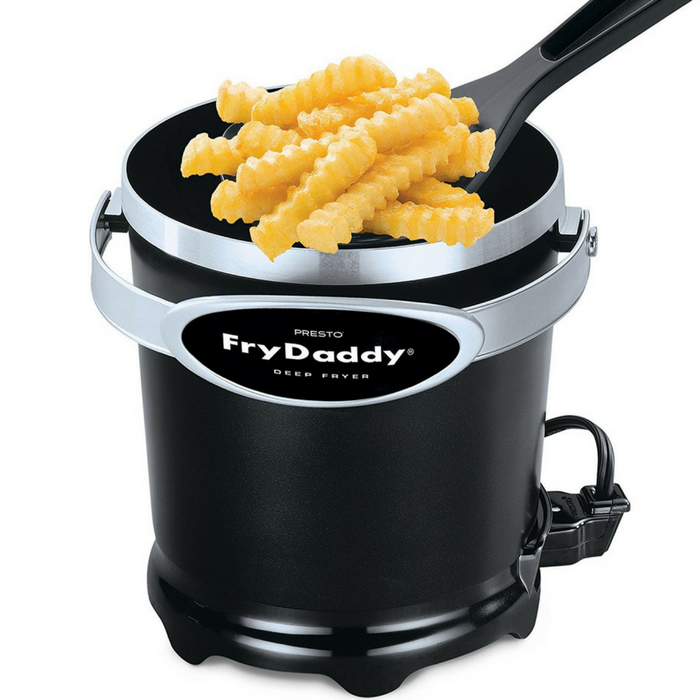 Makes crispy french fries, shrimp, chicken, onion rings and more. Maintains the perfect frying temperature automatically. Efficient 4:4 oil-to-food ratio makes four big servings with just four cups of oil, saving money on oil. Handy scoop lifts, drains, and serves. No messy basket. Snap-on lid stores oil without spills or odor. Nonstick surface, inside and out, for easy cleaning. Compact size for easy storage! Just seems convenient!